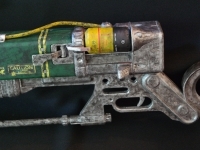 The AER9 Laser Rifle from the Fallout games. 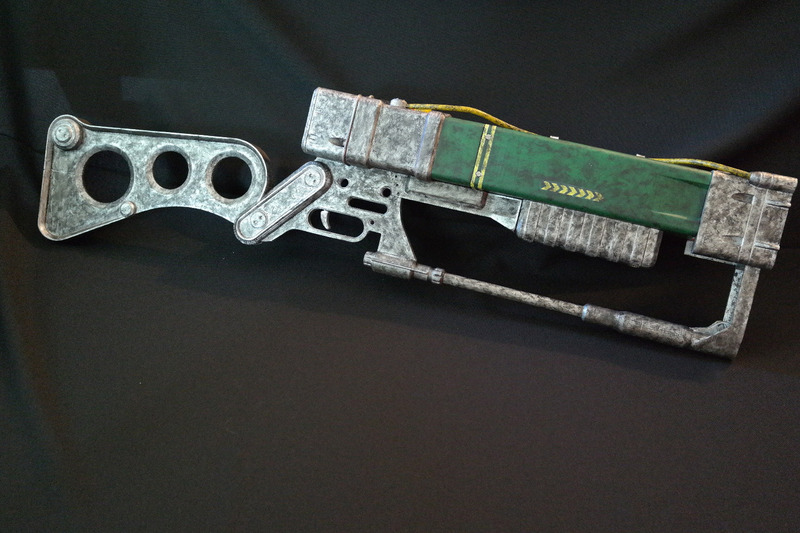 One of the most recognizable weapons from the game because it fits the theme and feel of the games perfectly. 1040.8 Volts of Red lasery goodness ready to vaporize targets at will. Now also available in 3D printing. 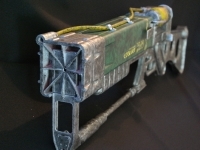 If you always wanted to have one and you are a proficient 3D printerer, now’s your chance. The design is left quite open so you can do with it whatever you want. 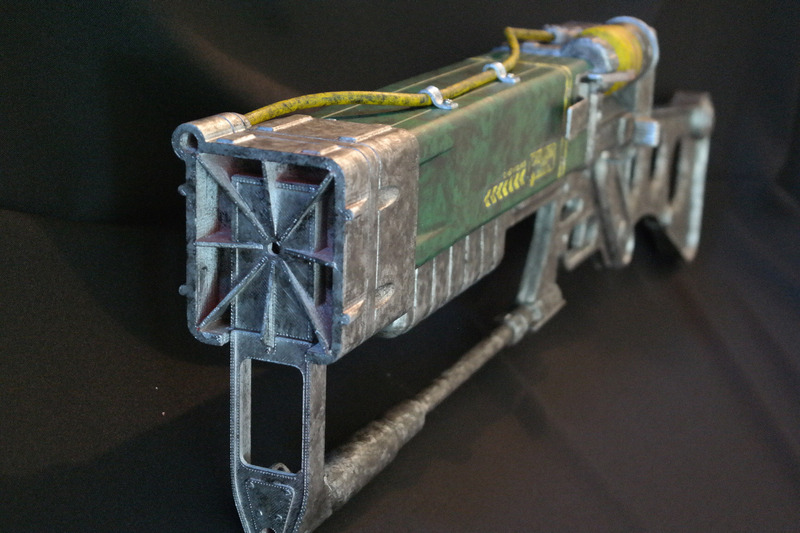 In mine, there is sound, lasers, and a working reloading mechanism. 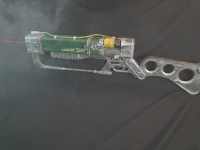 Every time the trigger is pulled, the laser fires and the sound for the Laser rifle is played through a set of built in speakers. 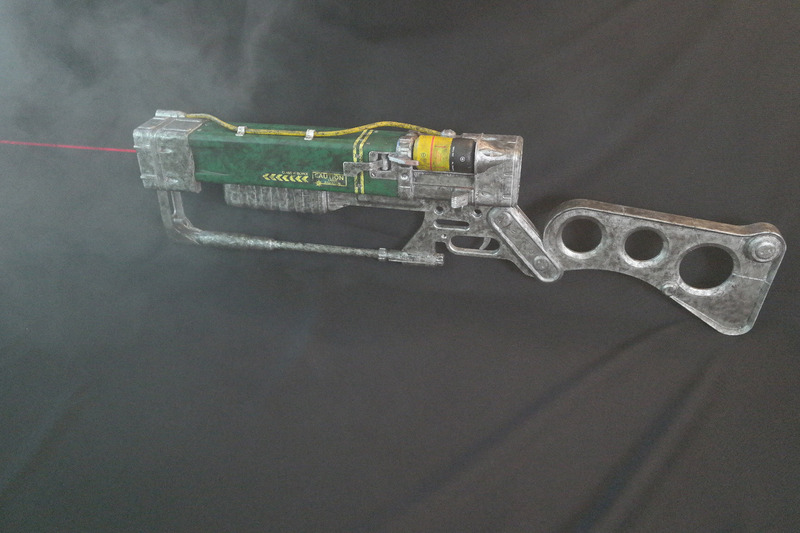 It’s been over two years since I made the Laser Pistol. The project was initially considered a mild flop, because it had very little exposure and stuff, but people kept downloading and printing it over time. 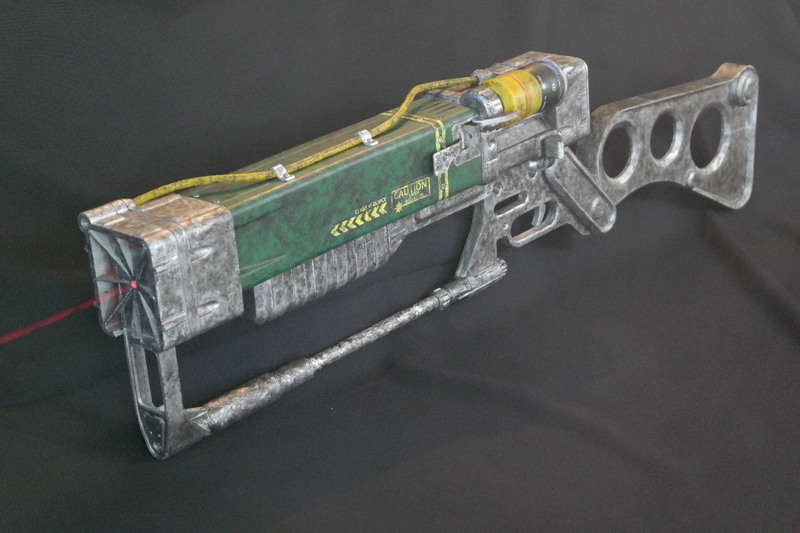 Some have also been requesting me to also do a Laser Rifle, and I had never given it much thought other than a: “Nice, but it would take forever”. More and more people kept asking, and since it was ages since I did a prop, I finally started on it. The result is here. Not much blood and tears went into it, but plenty of sweat, and a lot of time. 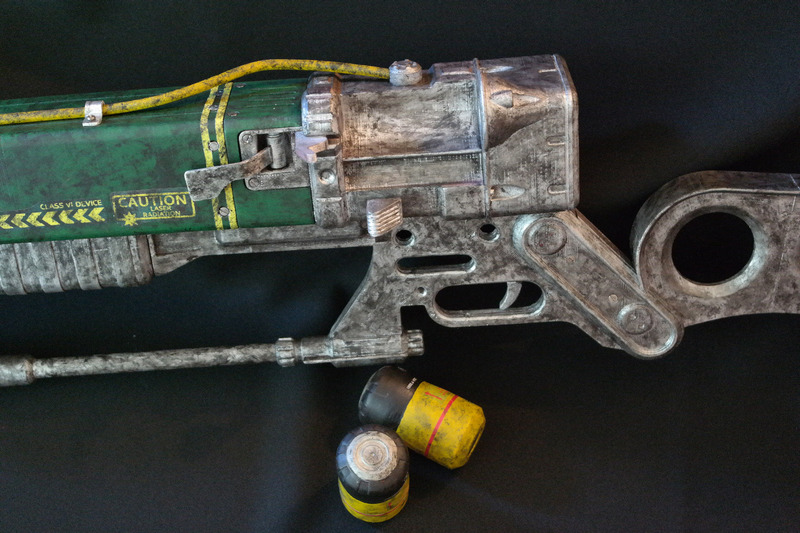 A 3D printed laser Rifle from Fallout, as accurate and printable as I can make it. Fallout 4 was announced a few weeks after I started on this, so it might have more use now than it did a year ago. To anyone who will undertake this project, good luck. It is not extremely difficult, it is just a lot. If you start now and work hard, you might finish before Fallout 4 comes out and you forget what the sun looks like. 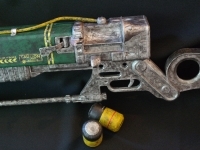 If you did make one, please go to the Forum and show off your work there (also for other prop and project suggestions). 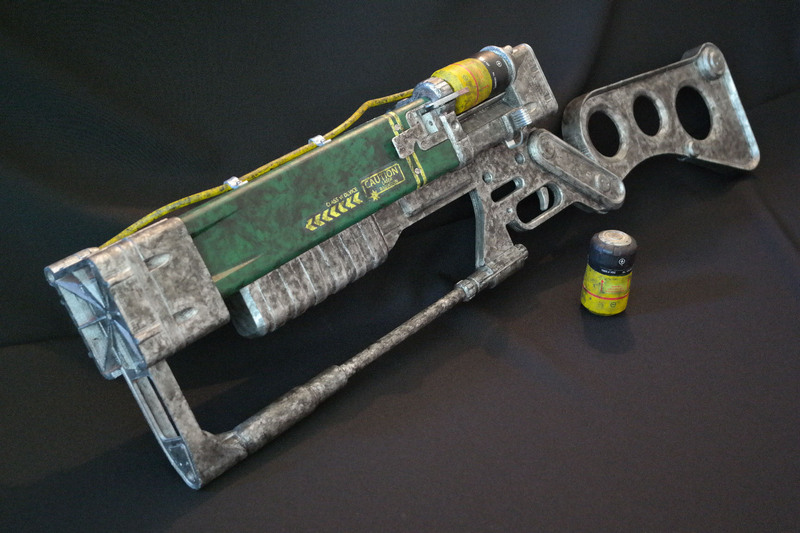 There are two versions of the Laser rifle available. 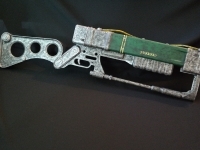 One with and one without a working reloading mechanism. This is done for a very good reason. 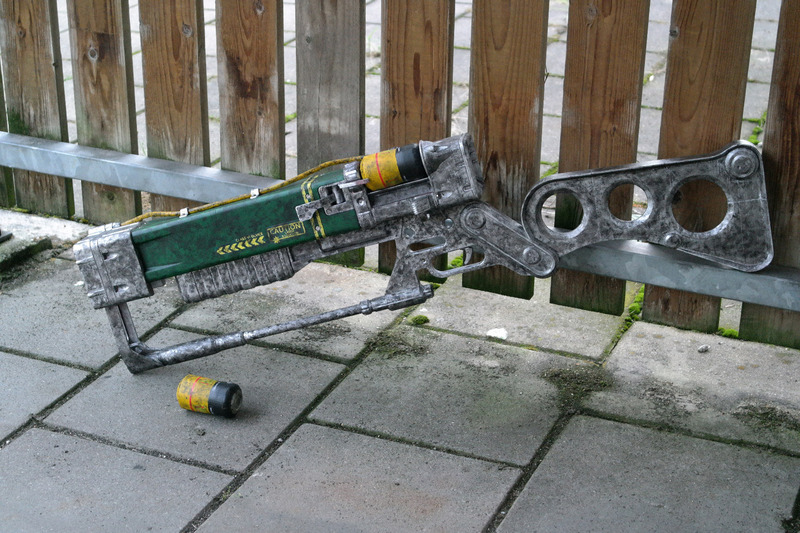 While the reloading mechanism looks very cool, it takes quite a few materials and more than a bit of skill to put together. There is a variety of bearing, linear guide rod, grub screws and rubber bands needed to make the whole thing work. Assembling it is a job that takes hours, even with the right tools. 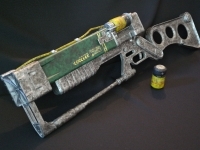 Take the reloading mechanism out, and it is basically a 3D printed kit of the AER9 Laser Rifle, just a really big one. A little warning beforehand. This project is not by default extremely difficult. Especially the version without the reloading mechanism is not that hard to assemble, but remember that this is a HUGE print. Printing alone took me over 70 hours, and I use an UP! plus, not a printer know for being slow. Depending on the printer and settings, you could easily break the 100 hours in printing. The reloading mechanism is only for the people who like a challenge. It is over a dozen of small push rods, bearings and half a meter of rubber wire to get everything to move reliably and smoothly. I can guarantee it is worth it, but only start when you are confident that you can do it. The 3D printed parts are as supportless as I can a prop of this complexity. There are no difficult overhangs, only 90 degree overhangs and they are limited. The parts are oriented the way I printed them, but if you think they will print better another way, go ahead. Any printer bigger than 140x140x140mm should be able to print these files. Now with the obligatory warnings and information out of the way, download the files and start printing. 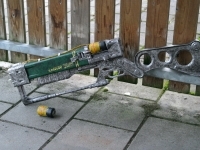 Follow the link to Instructables, where there is an in depth explanation on how to properly built you own AER9 Laser rifle. I would be interested in purchasing one of these rifles if you are willing to still make them. Great project mate, could you tell me what parameters you are printing with? What is your layer height, infill, shell thickness? 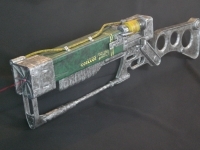 Hi, I am looking into 3D printers and want to print one of your models. What 3D printer would you recommend for a beginner? That is too difficult to say. Do you want to click and print or do you also want to be able to tweak your printer. Do you want a printer that is great at one material or one that can do most materials good. What is your budget. How big does it need to be. 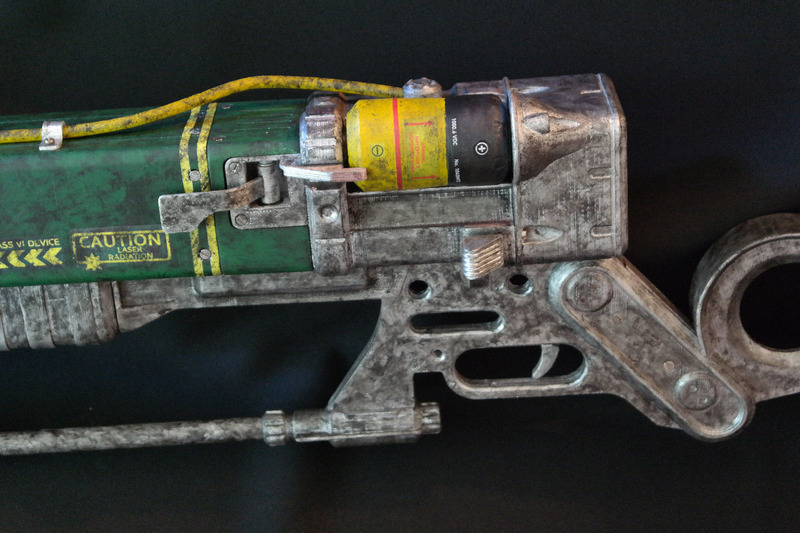 All in all, the Laser Rifle is not the best project to start with if that is your idea.